Car dealers are searching for ROI from their digital marketing spend but looking in the wrong place for the answers. The first-of-its-kind digital marketing study of Canadian automotive dealerships – Connecting Your Digital Dots – has revealed many important insights. The single biggest challenge dealers have when it comes to their digital marketing is measuring ROI, followed by effective conquesting, converting online leads to sales, and connecting with the right consumer. The truth is, if we can’t figure out how to connect with the right consumer, we’ve got nobody to convert or conquest, and ROI is likely to disappoint. It all starts with the consumer and making that critical connection while they are online shopping for their next vehicle. After all, dealership visits are down. The average consumer used to drop into five stores before buying their car. Now it’s one or two. If you’re not making a meaningful connection when the consumer is shopping online, you may never get a chance to sell them a car. Age, gender, ethnicity and income can vary significantly, but one thing most demographic segments share today is that 94% don’t even think about spending money at a dealership until they’ve spent 18 hours doing online research about their next car purchase and visiting an average of 21 touch points. What’s really interesting, from a sales perspective, is that during their digital journey, consumers are open to influence. A McKinsey study found that shoppers acknowledged 3.8 brands, on average, in their initial consideration list and added an average of 2.2 brands during their research online. While some dealers putter around with their digital marketing efforts, serious competitors are aggressively stealing business before consumers ever walk onto a lot. So how do you know if the investment you make in digital marketing turns into dollars? Measure what matters! The answers are in the reporting metrics, but you have to know where to look and how to put the information together. According to the Connecting Your Digital Dots study, 87% of dealers ranked measuring leads from their website forms and calls as “Very Important”, although you would think that should have been 100%. Ten percent ranked lead measurement as “Important”. The remaining 3% didn’t measure their lead results at all. 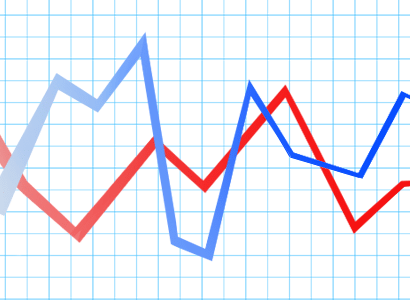 Interestingly, dealers were somewhat split on their ranking of less ROI-focused metrics. 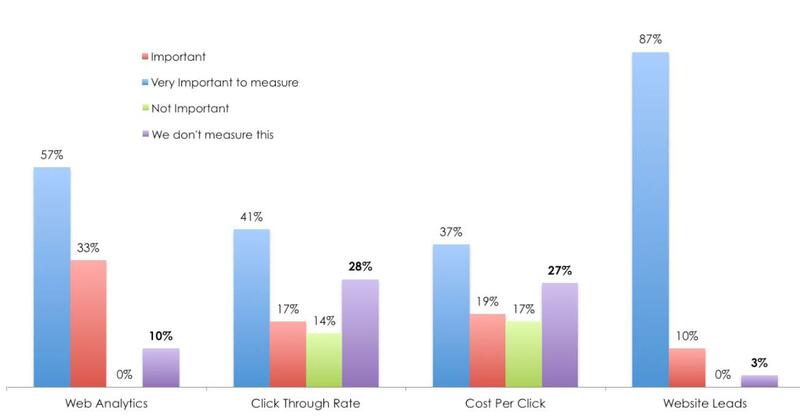 Website analytics, click-through rate, (CTR) and cost-per-click (CPC) had a significant number of dealers at either end of the spectrum from “Important” and “Very Important” to “Not Important” and “We don’t measure this”. While you’re not going to measure ROI through website analytics, CTR and CPC, when used in combination, they are helpful in shaping digital marketing strategy. For example, you might be getting good click-through and cost per lead, but when assessed with website analytics, we discover a high bounce rate; people quickly leaving the site instead of engaging with pages that indicate shopping behaviour. Using this information, a new strategy can be developed that includes changing who you target with sharper campaigns that attract consumers in your territory at the appropriate stage of their shopping journey. Add more meaningful website content that better converts leads. And when it’s working, do more of it. Measuring ROI is a different exercise and is ultimately the most important determination of online success. According to a recent study from Google, 14% of car shoppers who convert to leads on your website will fill out an online form. This is simple to track; leads from forms come to you with contact info, page source, date and time. Another 23% of leads from your website will call. Using unique numbers for relevant website pages and local search results means the leads are easily tracked back to the source. Leads from forms and calls allow you to calculate cost per lead, which is a very clear expression of your ROI. For the other 63% of leads who were on your website and just dropped into your dealership without calling or filling out a form, the ROI can be determined based on filtering for true buyer behaviour. We already track how a consumer found your website. Equally important is tracking the consumer’s activity and time spent on Vehicle Detail Pages (VDPs), Specials and Inventory Filtering. Visits to About Us and Map Location pages are almost always indicators that online shoppers are going to walk into your store within days and sometimes hours. These are the pages where consumers who are ready to buy live online. The more focus you place on improving these page results, the more you will see boosts in sales. It all comes back to connecting with the right consumers and providing them with the experience and content they want when they visit your website. Make the connection early, measure your leads and buyer behaviour onsite, and watch your ROI increase.